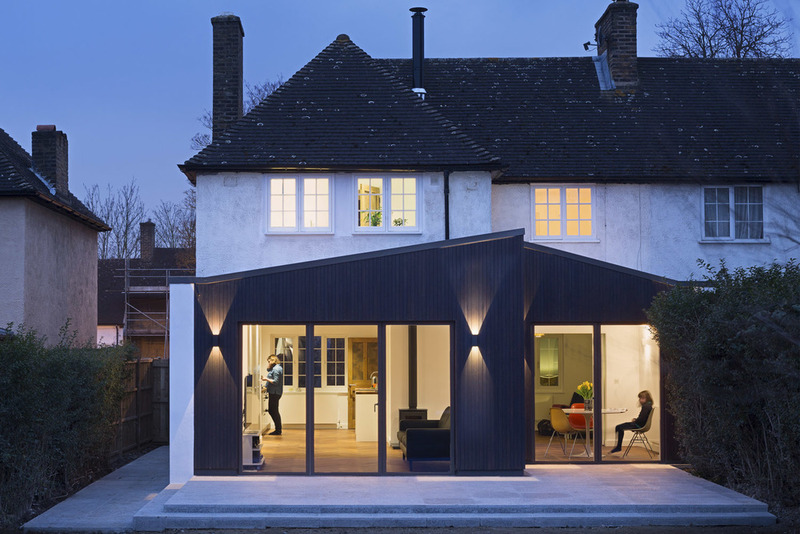 Comprehensive refurbishment and extension of a 1920's house in South East London. 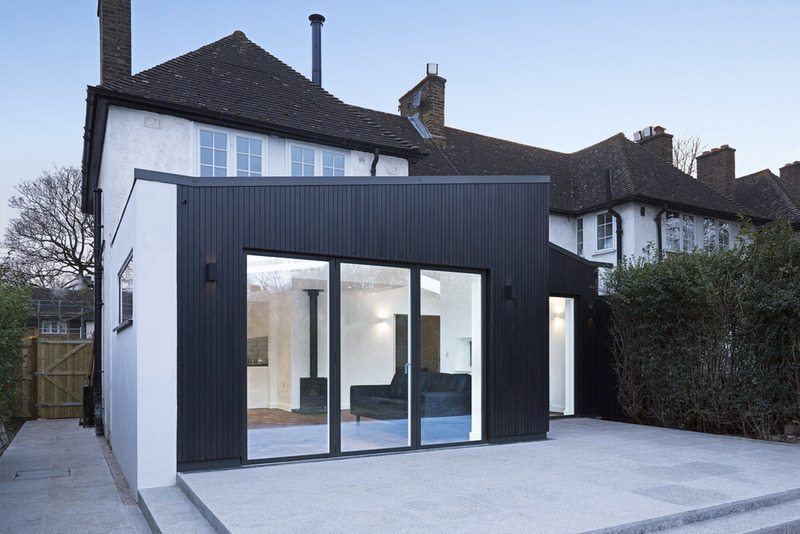 The rear additional is clad in black stained cedar to contrast with the white render of the existing building. The stepped form in plan maximises the additional internal area and defines the living areas within. 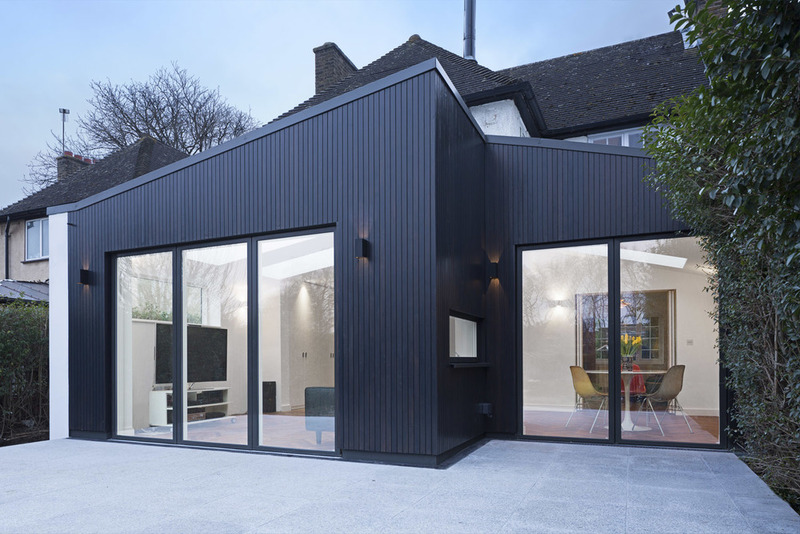 The ceiling follows the roofline to maximise the sense of space and punctuated with large roof windows to draw in as much natural daylight as possible.